Apprenticeship starts in the 16 to 18 age group were up by almost 9,000 in the first quarter of 2014/15 versus the same period last year, provisional figures released today have revealed. 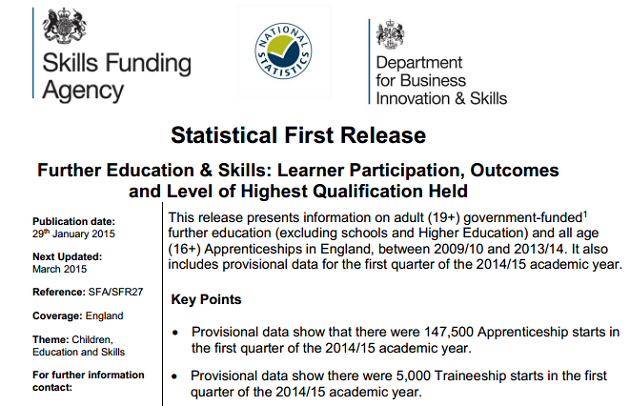 Today’s statistical first release (SFR) shows apprenticeship starts for under 19s totalled 54,100 between August to October last year, compared to 45,800 in the previous year’s provisional figures. 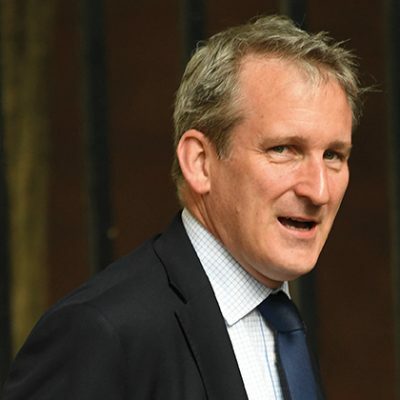 But the apparent increase could be explained by problems with reporting learner data through the Skills Funding Agency’s Funding Information System (Fis) during the reporting period relating to the 2013/14 numbers. Final figures for the August to October 2013 period showed 54,400 starts for under 19s. The provisional figures further show that all-age apprenticeship starts between August and October last year stood at 147,500, an increase of almost 40,000 from the provisional 108,800 reported the previous year. But again, the 2013/14 August to October figures ended up actually being 130,300 starts. Traineeship data was also released today, showing 5,000 starts in the first quarter of 2014/15 (August to October), compared to 3,300 in the first two quarters of 2013/14.